Sitting in my office in far away Oregon, I swiped though my Instagram feed during lunch break. 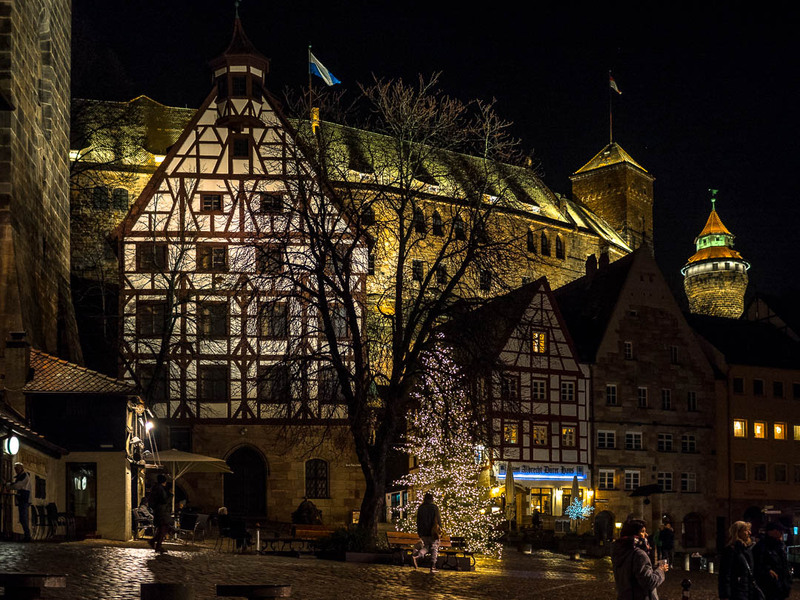 Somehow I was surprised to see all those images from the grand opening of the historic Nuremberg Christmas market. Being fully engulfed in my work on the other side of the world, it completely dropped off my radar that this weekend is the start of Advent season, the four weekends prior to Christmas. And traditionally, on Friday night before the First Advent, is the festive opening of Nuremberg’s Christkindlesmarkt, as it is called locally. And with that, the historic old town below the Imperial Castle turns on the lights of all the festive street decorations. Seeing the Instagram photos I’m feeling a bit homesick, but that comes with the job that pays the bills. At least I get to spend two days at the coast of the great Pacific Ocean, albeit with plenty of Oregon liquid sunshine forecasted, but I will make the best of it. The photograph was taken with my Olympus PEN-F and the 12mm F/2 prime lens, image specs 1/60 sec @ f/2 and ISO 1600. If you want to pick up your camera on the weekend and are looking for tips and inspirations around photography, visit my free Learning Center . Wish you a great weekend and a peaceful Christmas season. Have a great Festive Season ! Wow! It looks like a beautiful market Marcus! Thanks, my friend. I will return to Schwäbisch Hall tomorrow night to visit the Christmas Market, and the place will be full of fond memories of our trip 🙂 Hope all is well, my work life was crazy and I haven’t touched my private PC in more than a week…. That is so wonderful my dear friend. So many good memories there. I got to visit the market in Rothenburg that day and it was packed. Hope time is slowing down for you. It’s crazy to think that I leave in like a week and things are challenging and scary. The opening of the market was broadcast on TV as well. Seasonal greetings. Thanks, Marcus, have a great weekend yourself!